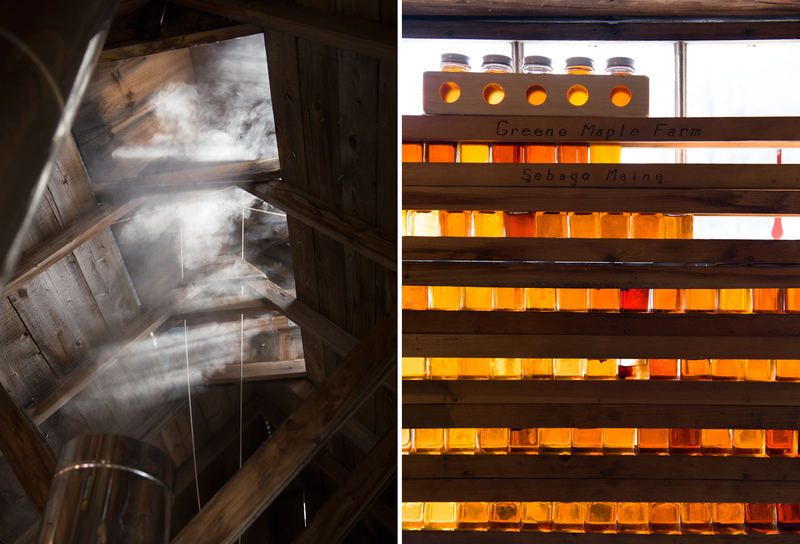 Smoke from an evaporator at Greene Maple Farm in Sebago, Maine, signals maple syrup season is in full swing. Syrups samples from each boil are graded based on color. For the cookbook Real Maine Food.